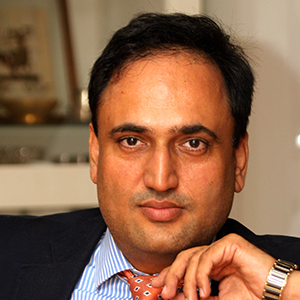 Dr Baliyan is a british citizen of Indian origin. He was born in Sonipat and did his schooling from Motilal Nehru School of Sports Rai Sonipat Haryana. He qualified as a doctor from PGI Rohtak.with a Masters degree in Hospital Management from Nuffield Institute of Health, Leeds UK. He is the founder and Managing Director of Clearmedi Healthcare pvt Ltd and co-founder of Shubhram Hospital solutions pvt ltdHe has a proven track record of over 15 years in advising and consulting various NHS, private sectors and some blue chip companies in UK.. He has given strategic direction to complex Oncologyservices in India, since his inception of Clearview Healthcare he has been a key force in giving birth to ClearMedi’scurrent shape and form. Under his able leadership, ClearMedi is running 20 Oncology and Radiology facilities in India, bringing state of art cancer care to Tier 2 and Tier3 cities in India.Brought in the concept of Managed Equipment Services business for the first time in healthcare market in India.Successfully created more than 16 cancer treatment and diagnostics centres in a span of less than 4 years in India.